What is an Oregon Non-Disclosure Agreement? Oregon Non-Disclosure Agreement: What Is It? 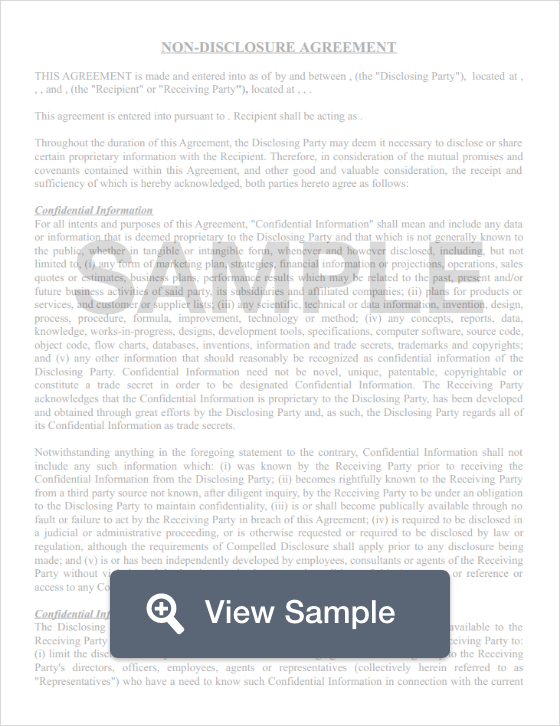 An Oregon non-disclosure agreement is a legally binding document when properly written. An Oregon non-disclosure agreement should only be used to define and protect legitimate trade and business secrets. Oregon’s Uniform Trade Secrets Act, ORS 646.461 through 646.475, governs the use of non-disclosure agreements. Oregon non-disclosure agreements serve a valuable purpose. They help a business keep a competitive edge by protecting confidential business information. This information is referred to as a “trade secret.” Oregon’s Uniform Trade Secrets Act legally defines the type of information that qualifies as a “trade secret.” A trade secret is information such as a drawing, cost data, customer list, formula, pattern compilation, program, device, method, technique, or process with its own actual or potential monetary value. The value for this information is derived from the fact that this information isn’t publicly known and that it isn’t a simple process that another business could figure out on its own to use for their own benefit. Additionally, any information that a business claims as a trade secret must be protected by that business using reasonable methods. To enforce an Oregon NDA, it’s important that the business truly has a “protectable” interest. This means that the employee or contractor will have access to specific information that the company considers a trade secret. Businesses have the legal right to use the court to enforce a valid NDA to protect their trade secrets. For businesses looking for maximum protection for their trade secrets, an Oregon noncompete agreement should also be used with new hires and contractors.